Rezurex – Cleopatra Records, Inc. The rock n roll vigilante powerhouse Bat! includes musicians from Nekromantix, The Brains, Rezurex, and Stellar Corpses. (Of course, they keep their identities secret, like any masked band of crime-fighters should). 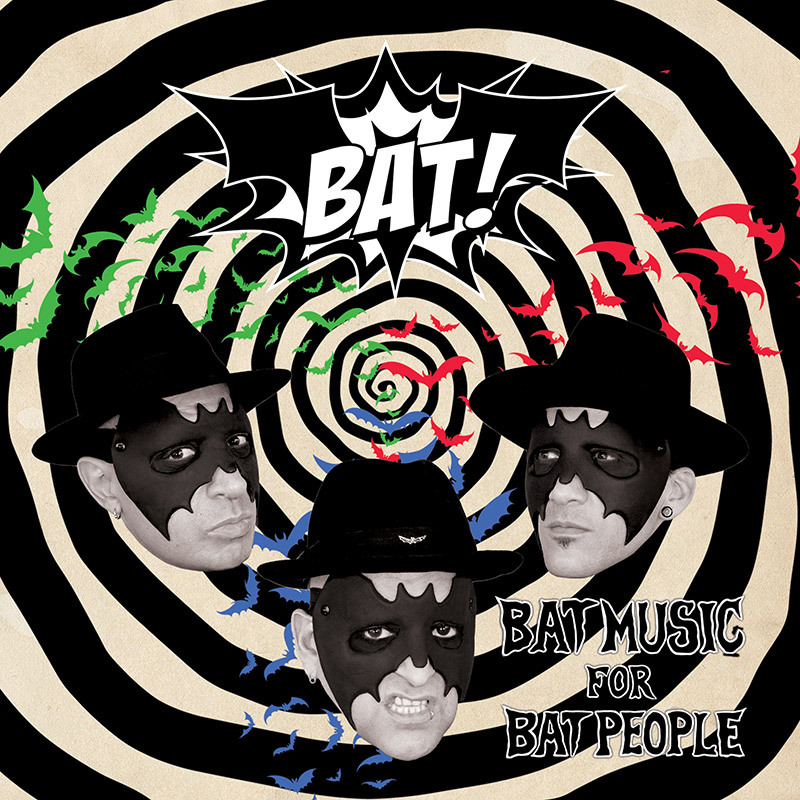 Their debut album, Bat Music for Bat People, is due out on May 10th via Cleopatra Records. Today, Dread Central is thrilled to premiere the first single from Bat Music for Bat People: “Revenge of the Batmask!” Give it a spin at the top of the article, and read more about Bat! by clicking here!